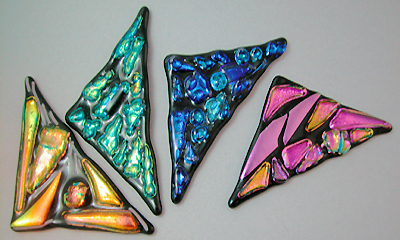 No one can fail to notice you when you wear these brooches! 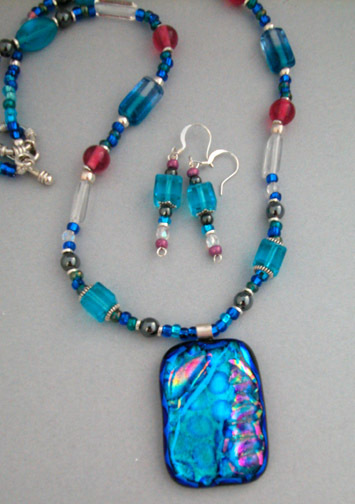 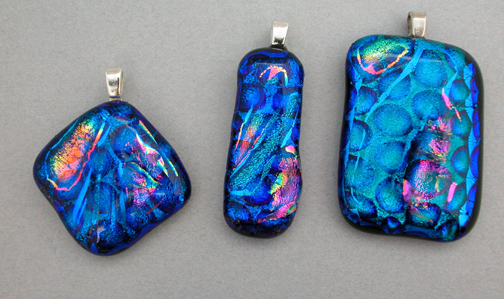 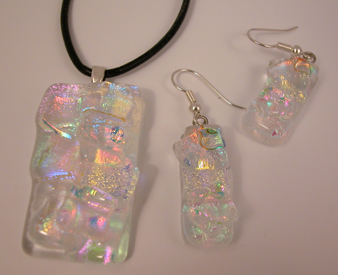 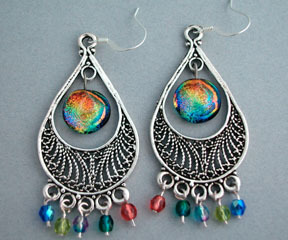 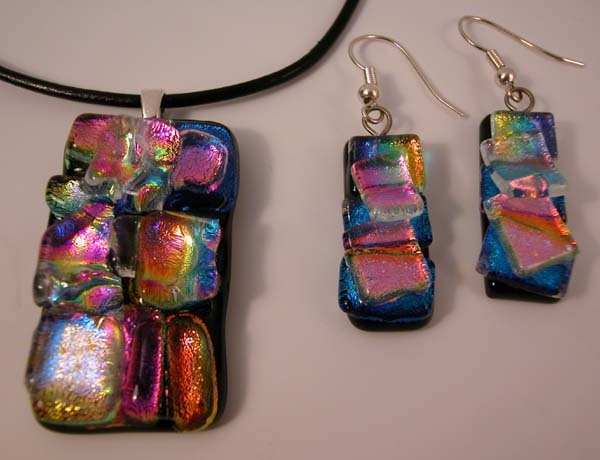 Measuring 2.5 to 3" long featuring a mosaic of varying colors and textures. 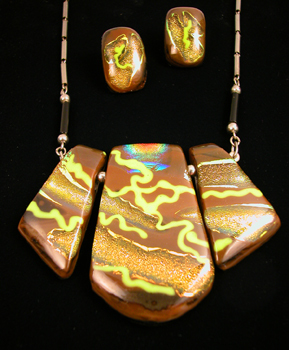 This earthy set features browns and golds highlighted with a touch of dichroic at the throat and includes matching stud earrings.